Well, it’s finally here! ERROL! by yours truly and amazing Philip Bunting is on the shelves. ERROL! 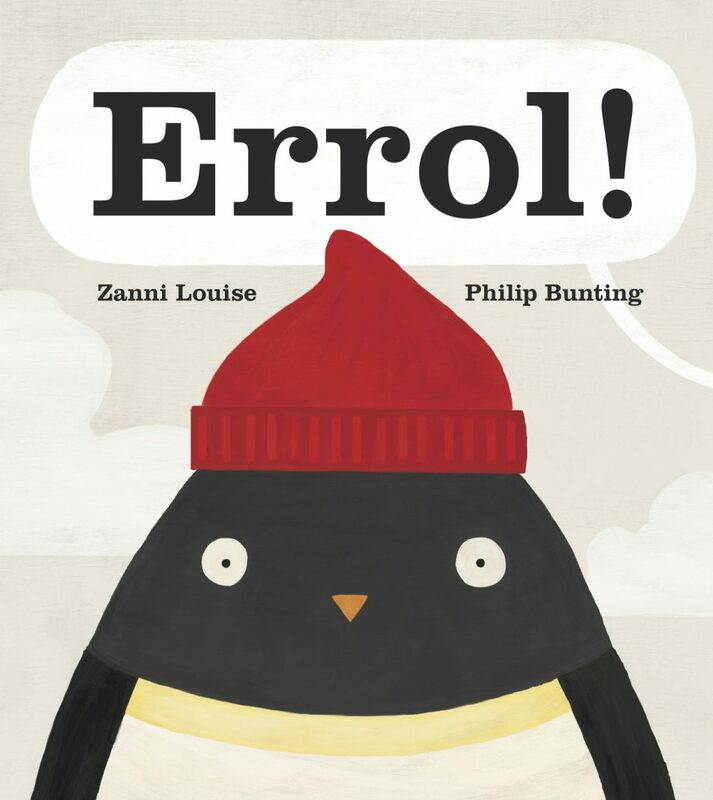 is the story of a cheeky penguin who has an unusual response when his mother starts counting to three, and saying it’s time to go. This story is about resistance, persistence and independence. Most parents will no doubt empathise with poor old Mum! And kids will like Errol. This is definitely a read aloud, and I challenge you to experiment with the voices! Philip Bunting has created bestselling and award-winning MOPOKE, and many other highly acclaimed books. I am very lucky to be working with such a skilled artist (and lovely person). And both Philip and I are very grateful for the wonderful support we have received from Scholastic Australia and UK. Our editor Rebecca Young has been so supportive and amazing to work with, as have the rest of our vibrant team. ERROL! will be launched by Megan Daley this weekend at Where The Wild Things Are. We couldn’t be more excited if we tried. Pick up your copy in all good bookstores, or online.